Anyone who is familiar with the Japanese urban landscape will have noticed that QR code symbols are virtually everywhere. On train advertisements, pamphlets, menus, business cards and product labels. In some extreme cases even on family graves! QR (Quick Response) codes were originally conceived by Japanese company Denso-wave back in 1994 as a method of tracking parts in vehicle manufacturing. However, like so many successful inventions it soon found unintended broader applications. Most current Japanese mobile phones can read this code with their camera. It is possible to represent many kinds of information by a QR symbol. One popular use is to offer discount coupons. In theory it is possible to include up to 1,817 kanji characters or 4,296 alpha numeric characters in one symbol although less is recommended. 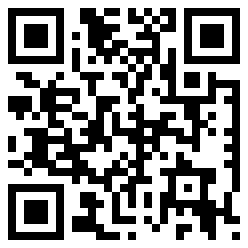 Creating a URL link via QR code to put on your promotional material is very easy. There are several sites that offer free online QR code generators. If you are looking for creative ways to advertise your website, blog, Twitter account or Facebook page, QR Stuff is a company offering a range of interesting QR Code T-Shirt options. If you are serious about promoting your business in Japan then you should consider adding a QR code symbol to your promotional material that links to your website home page or designated landing page.